ORBERA® non-surgical gastric balloon and weight loss program is a clinically proven approach to weight loss. ORBERA® is a managed non-surgical weight loss program offered by Weight Loss Solutions Sunshine Coast. The program consists of the non-surgical procedure of inserting an Intra Gastric Balloon and combines it with specialised dietary and exercise care. Weight Loss Solutions Sunshine Coast offers a comprehensive approach to managing weight, with an integrated team of weight loss health professionals. This means we can offer the ORBERA® program as a suitable option for people on the Sunshine Coast and surrounds who are looking for a non-surgical approach to weight loss. The ORBERA® Managed Weight Loss Program is a medical procedure for weight loss that focuses on developing long-term, sustainable, healthy habits. The comprehensive, two-part program starts with a soft, intra-gastric balloon placed in your stomach for six months to encourage portion control. Our team of experts are here to support & help guide you through the process. The second part of the program is very important because it helps you maintain the weight loss. We will work with you to guide you through the process of developing a customised diet & exercise program and support you in making healthy lifestyle choices. Am I a candidate for the ORBERA® gastric balloon and weight loss program? ORBERA® is indicated for patients with a body mass index (BMI) of 27 and above. Patients have generally tried other weight loss programs such as supervised diets and exercise programs, and have been unable to lose weight, or to sustain long term weight loss. Your suitability for the ORBERA® procedure can be determined by our doctors at Weight Loss Solutions Sunshine Coast. A suitability consultation, and subsequent gastroscopy can be performed at either of our Sunshine Coast Hospital locations. Dr James Askew consults at Sunshine Coast University Private Hospital. Dr Garth McLeod consults at Noosa Private Hospital. The soft balloon your doctor will place in your stomach will help you to maintain better portion control, and encourage weight loss. Your follow up care following the procedure is integrated to suit your individual needs. Our team of specialist dieticians, exercise physiologists and psychologists will design an effective after care program following the procedure. This ensures you are maintaining adequate nutrition, and adopting new habits of mind towards healthy eating and exercise while the gastric balloon remains in your stomach. 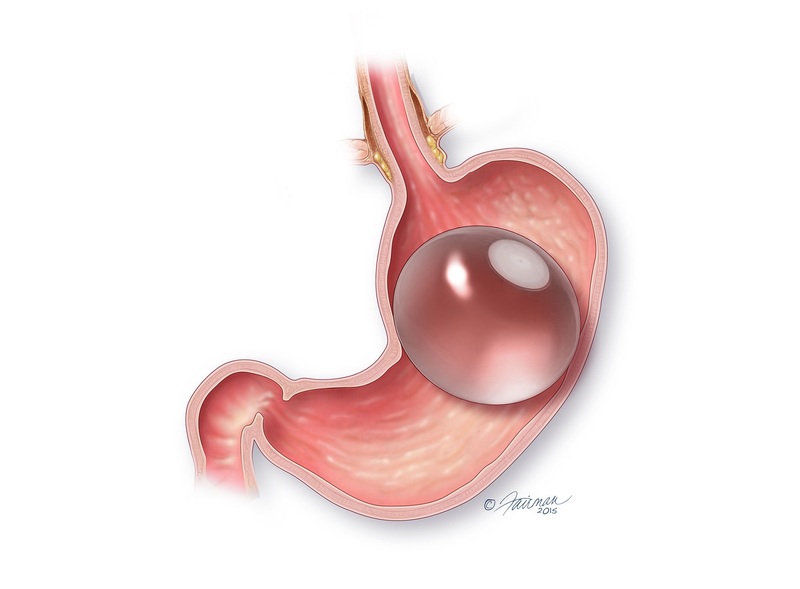 At six months, the gastric balloon is removed. Your integrated team will support you to continue your new nutritional and exercise habits. This will help to cement long term weight loss following the procedure. Would you like to find out more about the ORBERA® procedure, or know if you are a suitable candidate? Make a time to discuss your weight loss options at either of our Sunshine Coast consulting rooms.